Essential oils can help ease the stress of dieting. Is it true that you can use essential oils for burning fat? While using essential oils is not as effective as diet and exercise, some people have reported success using these fragrant oils to aid in weight loss. While there are no specific essential oils for burning fat, there are oils that can be used to give your metabolism a boost. This can help you lose weight and cut the fat deposits in your body. Essential oils can be mixed and used in different ways, but one easy energizing recipe is to use about nine drops of grapefruit oil and six drops of ginger oil. Mix them together with two ounces of a carrier oil, such as olive oil or sweet almond oil. Add a small amount to your bathwater and soak. Essential oils can also be helpful when you are trying to lose weight for other reasons. If you understand the cause of your overeating, you can use essential oils to help ease the feeling of whatever else was going on in your life that caused you to overeat. For example, stress, depression and anxiety are all common causes for eating too much, and also can be reactions to dieting. Essential oils can help reduce these feelings and make you feel better about dieting. To calm down and relax through the stressful parts of dieting, try a mix of Roman chamomile and lavender. If you shop around on the Internet, you will find products that claim to be essential oils for burning fat. These products usually include grapefruit oil, as well as other essential oils such as coconut, cypress, cedar, juniper and clary sage, as well as some carrier oil and usually vitamin E, which is said to be good for the skin. While these products may help if you are already on a weight loss program (for the calming and energizing reasons mentioned above) they can't really do anything to help you burn fat or reduce cellulite. Like other topical products, they may hydrate the skin, making it temporarily look firmer and less dimpled, but it's not a permanent solution. The better idea is to do some research on aromatherapy yourself, buy a few bottles of oil from your natural foods store. Try some recipes as you also eat a better diet and exercise more. Using essential oils can be a real help to get you through the emotions associated with dieting and weight loss, whether you're feeling a lack of confidence or excess tiredness. Just make sure before you use any essential oils that you study up and learn the correct ways to use each one. 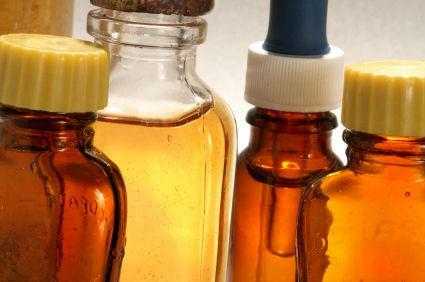 All oils should be diluted when used on the body, and some can be toxic if ingested. Keep them away from children and only follow specific recipes until you have some experience working with the oils.